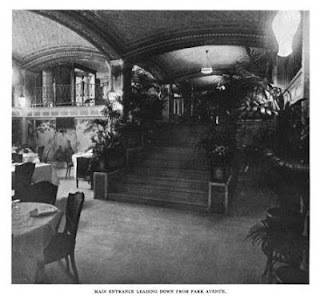 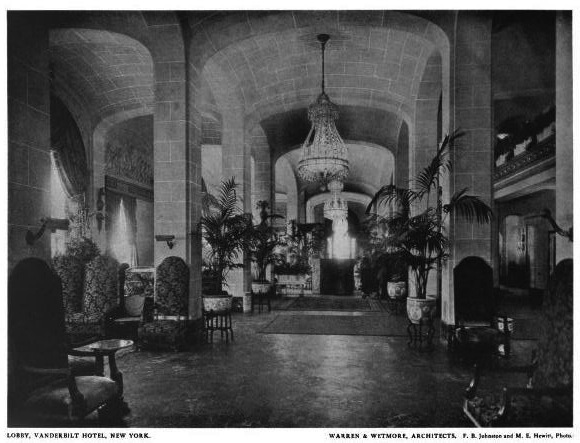 The Vanderbilt Hotel designed by Warren & Wetmore c. 1912 at 4 Park Avenue in New York City. 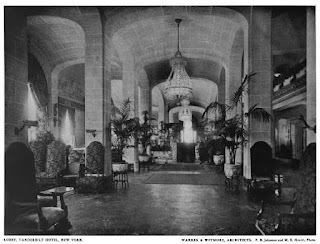 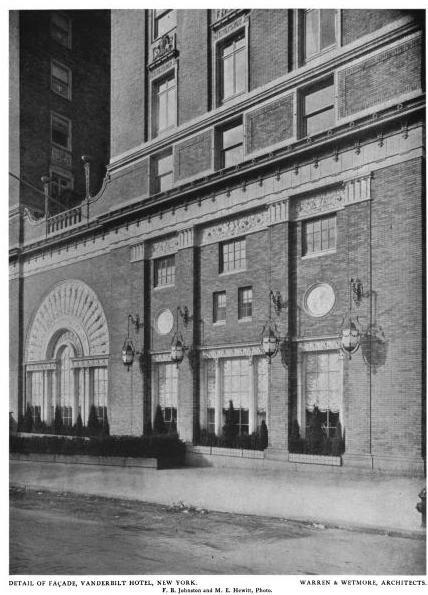 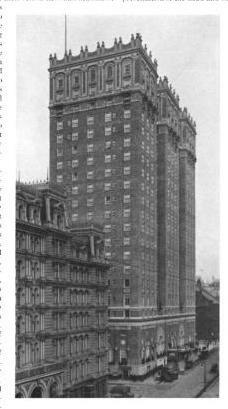 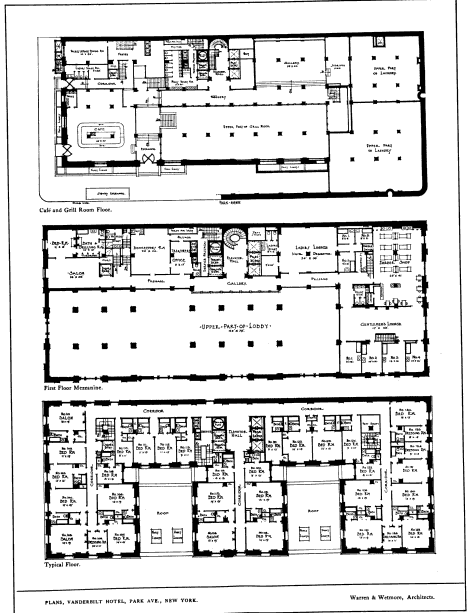 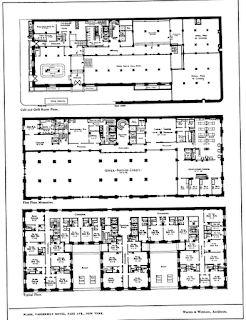 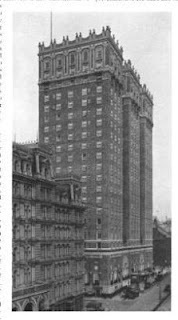 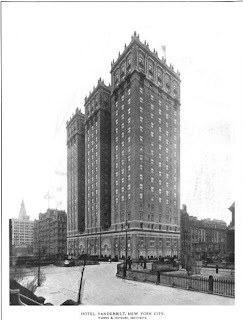 Click HERE for Christopher Gray's Streetscapes column and HERE for more on the Vanderbilt Hotel. 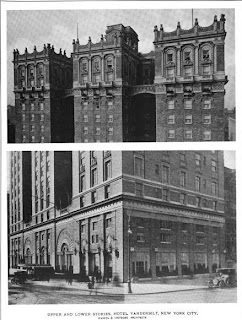 The building was converted into rental apartments in the 1960s. 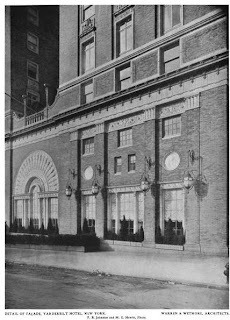 Click HERE to see the building as it looks today and HERE to see it on google street view. 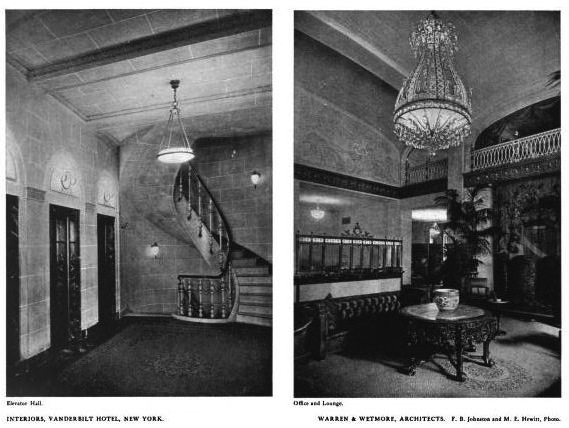 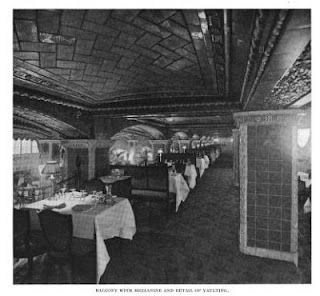 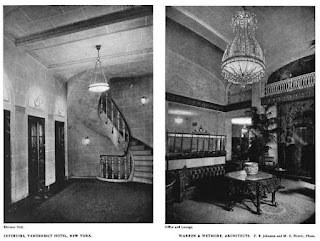 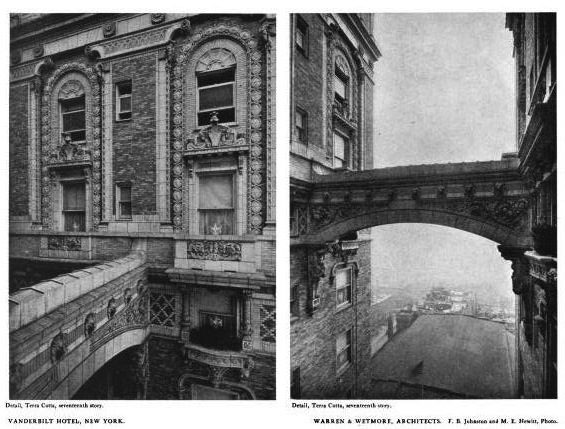 Photos from Architecture and The Brickbuilder magazines, 1912. 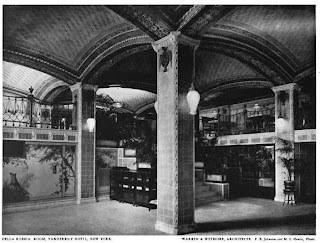 A mere fraction of the marvelous vaulted tile work remains in this building otherwise it is a terribly mutilated & maintained shell.